Are you looking for a new fence in Mt. Juliet, TN? Middle Tennessee Fence has been installing new fences in the Mt. Juliet area for years. Whether you want to improve your home’s curb appeal, or want to mark property boundaries with you Mt. Juliet property or home, we will help you to get the perfect fence installed for you. 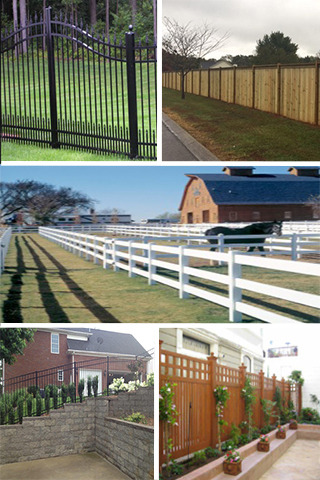 We offer all types of fences, as listed below. Wood fencing is the most popular and very affordable; picket fences will add a touch of class to your Mt. Juliet home; metal fences can be versatile and ornate; home privacy fences can help you get some well-deserved privacy in Mt. Juliet; and chain link fences are a common option for many home owners as well. We can also install fence gates, retaining walls, decks and more. Adding a fence to your Mt. Juliet home can increase the value of your home, and can help add security to your home, in addition to just being a beautiful addition to your yard! We offer fence installation, fence repair, fence contracting for all of Mt. Juliet- for home owners and businesses.